RISE is partnering with Ethos Humanitarian, a Greek organization that houses homeless teenage refugees, covering their basic needs, helping them with asylum-seeking and finding benefit programs, enrolling them in public school and language classes, vocational training, and other developmental opportunities. Ethos does a fantastic job preparing these young people to become emotionally and financially able to support themselves. RISE aims to support that effort by providing Ethos with funds to purchase creative supplies for the house, such as musical instruments, art supplies, and sports equipment. Please donate to support these teen refugees in pursuing their passions and dreams. RISE is supporting the Paiwand-e-Noor shelter in Afghanistan. 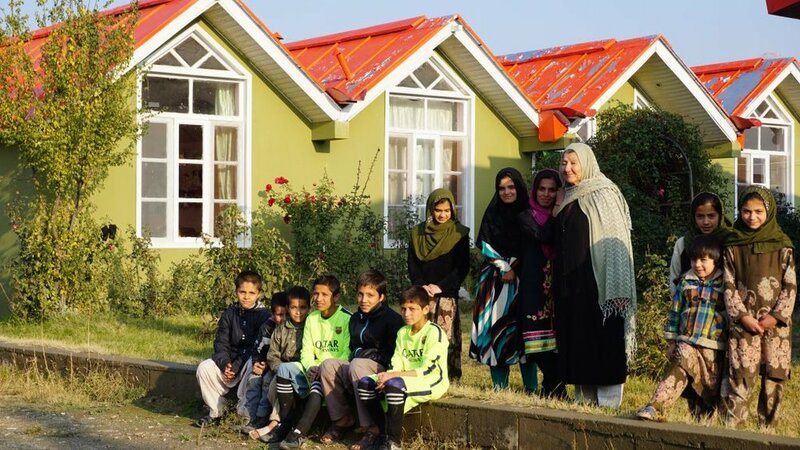 Over 100 Afghan children call this shelter their home; acting as not only an orphanage, but a school and a shelter encouraging disabled children as well. The shelter was built in 2005 in order to support both orphans and children who cannot be sufficiently supported by their own families. The orphanage hosts children between the ages of 6 -18 and aims to support children and enable them to pursue a higher education and career. RISE aims to support their effort by providing the Paiwand-e-Noor shelter with funds to purchase creative supplies for the children, such as musical instruments, art supplies, books, sports equipment, and more. Please donate to support these children in pursuing their education, passions, and dreams.